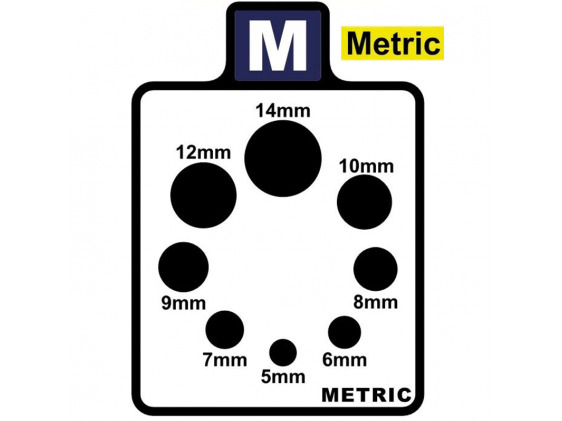 5, 6, 7, 8, 9, 10, 12 en 14 mm. Thread Wizard, the world's safest, fastest bolt cleaner. The Thread wizard is an award winning bolt cleaning tool designed by master mechanic and industry veteran, Gary Taylor. 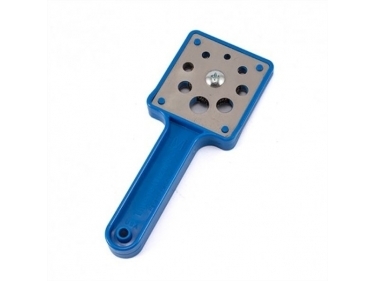 Housed in a highly durable handle which is specially shaped to be handheld or clamped in a vice, a wire wheel of the highest quality protrudes into size specific holes surrounding the wheel. The replacement cost of bolts can add up after time. Whether you work in a mechanics shop, or you perform regular maintenance and repairs on your vehicles at home, this tool will pay for itself. 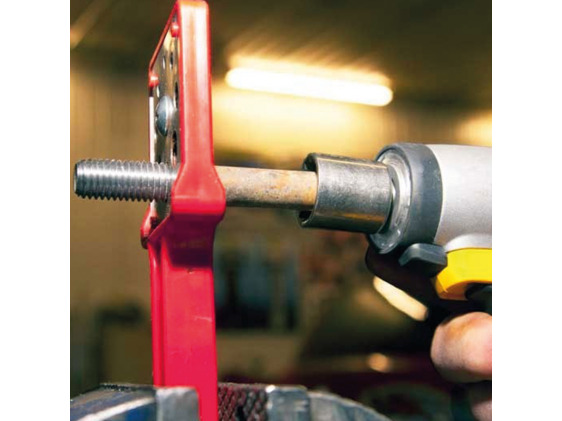 When a bolt is turned through the Thread Wizard with hand or power tools appropriate for the bolt, the wire wheel removes all grime, dirt, surface rust and fouling, without the safety issues or hassle of wire brushes, solvents or wire wheel bench grinders.